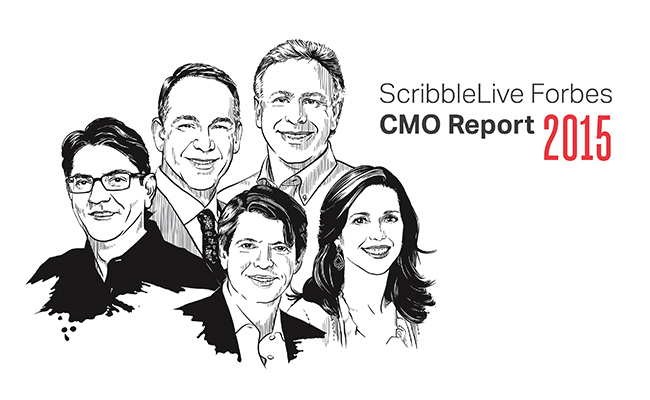 This morning LinkedIn partnered with Forbes and ScribbleLive to announce the 4th annual World’s 50 Most Influential CMOs Study. Today, CMOs are visible in ways never before. Thanks to the advent of social media, they have increasingly assumed the responsibility as the voice and face of their companies. But which leaders have the most influence? And what does that really mean? Influence is the capacity to have an effect on the behavior of someone else. An influencer is a person that expresses contextually relevant opinions on a specific topic, which elicit meaningful reactions from others. This study shines a light on the bold marketing leaders who have done just that. But how is influence measured? ScribbleLive Insights analyzed more than 100 million articles from news outlets, blogs and social media resources for this report. They also analyzed the public’s reaction to the CMO’s publicly shared content, comment or company information, then created a proprietary score. LinkedIn supplied additional public data to corroborate the ScribbleLive influence scores. This included the size of their networks, the relative content brand score of their companies, the theme they are sharing, their education and job tenure. The result was a proprietary influence score based on the insights from the two platforms. This report is not just a list of 50 profiles. It’s chock-full of remarkable data. For instance -- what were the top 5 industries represented? What’s on marketer’s minds this year? Hint, content marketing was the most talked about topic. The report also included who top CMOs are following and what they’re reading. Here’s a sneak peek at the 5 most influential CMOs, but to get the full list of all 50 CMOs and all other insights, read the beautifully crafted report here. With an influence score of 668.8 – more than the next eight most influential CMO scores combined, Schiller has held his spot at #1 for the 4th time in a row. With a 20 year tenure, Schiller has not only maintained a commitment to a genuine brand but has also proven dominance across the marketing spectrum ranking in the top 10 influencers on three themes of specific interest to marketers – mobile marketing, marketing innovation, and global marketing. A grand debut at #2, this is Hochman’s first time on the list this year. Hochman led KFC to make waves leveraging Saturday Night Live alums as the new actor playing the Colonel. I mean, before this campaign could you ever imagine Norm MacDonald playing a portly, southern, gray haired colonel who cooks the world’s best chicken? Clearly, a bold leader at KFC. Crull arrived at Sprint with more than 30 years of experience across sales, marketing and operations including a 5-year stint at Bell Media. Crull was mandated to attract new companies and improve the brands reputation. His strategy? Launch an unlimited wireless plan and cover your previous carriers’ termination fee. Big moves making waves in the Telecom industry. Francois, responsible for creating and executing marketing strategies, made a significant jump from #15 in 2014 to #4 this year. Known as a renaissance man of the auto industry, Francois has shifted perception of the automakers North American-based operations and has made waves within U.S. advertising with memorable ads and unique collaborations – read: sponsored music videos to new car models and partnering with Star Wars promotional teams. Comstock has served as CMO since 2008 and in September was promoted to Vice Chair of GE. She is an avid publisher focusing on topics close to marketers – how to keep great ideas alive at big companies, the power of passion and storytelling, and how to make heroes out of failures. As a result, Comstock is the only influencer who is avidly followed by other leaders in this list on multiple social channels. 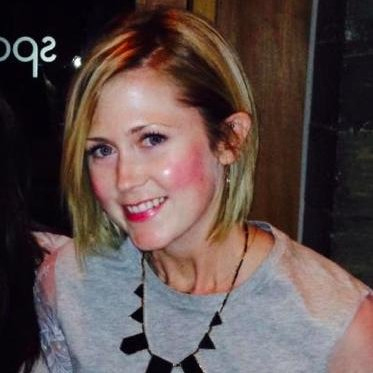 Wondering what it takes to act like a [marketing] boss? Get The World’s 50 Most Influential CMOs Study today.